This is an old revision of this page, as edited by Vsmith (talk | contribs) at 01:48, 3 December 2016 (Reverted to revision 752560922 by Vsmith (talk): Restore valid referenced content. (TW)). The present address (URL) is a permanent link to this revision, which may differ significantly from the current revision. Francis Harry Compton Crick OM FRS (8 June 1916 – 28 July 2004) was a British molecular biologist, biophysicist, and neuroscientist, most noted for being a co-discoverer of the structure of the DNA molecule in 1953 with James Watson. Together with Watson and Maurice Wilkins, he was jointly awarded the 1962 Nobel Prize in Physiology or Medicine "for their discoveries concerning the molecular structure of nucleic acids and its significance for information transfer in living material". Crick was an important theoretical molecular biologist and played a crucial role in research related to revealing the genetic code. He is widely known for use of the term "central dogma" to summarize the idea that genetic information flow in cells is essentially one-way, from DNA to RNA to protein. Crick was the first son of Harry Crick (1887–1948) and Annie Elizabeth Crick (née Wilkins; 1879–1955). He was born and raised in Weston Favell, then a small village near the English town of Northampton, in which Crick’s father and uncle ran the family’s boot and shoe factory. His grandfather, Walter Drawbridge Crick (1857–1903), an amateur naturalist, wrote a survey of local foraminifera (single-celled protists with shells), corresponded with Charles Darwin, and had two gastropods (snails or slugs) named after him. At the age of 21, Crick earned a Bachelor of Science degree in physics from University College London. Crick had failed to gain a place at a Cambridge college, probably through failing their requirement for Latin. Crick began his PhD at UCL but was interrupted by WWII. He later became a PhD student and Honorary Fellow of Gonville and Caius College, Cambridge and mainly worked at the Cavendish Laboratory and the Medical Research Council (MRC) Laboratory of Molecular Biology in Cambridge. He was also an Honorary Fellow of Churchill College, Cambridge and of University College, London. Crick began a Ph.D. research project on measuring viscosity of water at high temperatures (which he later described as "the dullest problem imaginable") in the laboratory of physicist Edward Neville da Costa Andrade at University College, London, but with the outbreak of World War II (in particular, an incident during the Battle of Britain when a bomb fell through the roof of the laboratory and destroyed his experimental apparatus), Crick was deflected from a possible career in physics. During his second year as a PhD student, however, he was awarded the Carey Foster Research Prize, a great honour. He did postdoctoral work at the Polytechnic Institute of Brooklyn. For the better part of two years, Crick worked on the physical properties of cytoplasm at Cambridge's Strangeways Research Laboratory, headed by Honor Bridget Fell, with a Medical Research Council studentship, until he joined Max Perutz and John Kendrew at the Cavendish Laboratory. The Cavendish Laboratory at Cambridge was under the general direction of Sir Lawrence Bragg, who had won the Nobel Prize in 1915 at the age of 25. Bragg was influential in the effort to beat a leading American chemist, Linus Pauling, to the discovery of DNA's structure (after having been pipped at the post by Pauling's success in determining the alpha helix structure of proteins). At the same time Bragg's Cavendish Laboratory was also effectively competing with King's College London, whose Biophysics department was under the direction of Sir John Randall. (Randall had refused Crick's application to work at King's College.) Francis Crick and Maurice Wilkins of King's College were personal friends, which influenced subsequent scientific events as much as the close friendship between Crick and James Watson. Crick and Wilkins first met at King's College and not, as erroneously recorded by two authors, at the Admiralty during World War II. He married twice, fathered three children and was the grandfather of six grandchildren; his brother Anthony (born in 1918) predeceased him in 1966. However, other evidence was interpreted as suggesting that DNA was structurally uninteresting and possibly just a molecular scaffold for the apparently more interesting protein molecules. Crick was in the right place, in the right frame of mind, at the right time (1949), to join Max Perutz’s project at the University of Cambridge, and he began to work on the X-ray crystallography of proteins. X-ray crystallography theoretically offered the opportunity to reveal the molecular structure of large molecules like proteins and DNA, but there were serious technical problems then preventing X-ray crystallography from being applicable to such large molecules. Crick taught himself the mathematical theory of X-ray crystallography. During the period of Crick's study of X-ray diffraction, researchers in the Cambridge lab were attempting to determine the most stable helical conformation of amino acid chains in proteins (the Alpha helix). Linus Pauling was the first to identify the 3.6 amino acids per helix turn ratio of the Alpha helix. Crick was witness to the kinds of errors that his co-workers made in their failed attempts to make a correct molecular model of the α helix; these turned out to be important lessons that could be applied, in the future, to the helical structure of DNA. 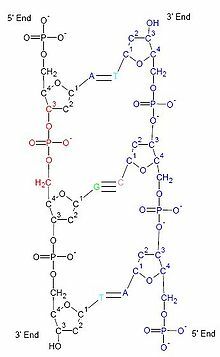 For example, he learned the importance of the structural rigidity that double bonds confer on molecular structures which is relevant both to peptide bonds in proteins and the structure of nucleotides in DNA. Late in 1951, Crick started working with James Watson at Cavendish Laboratory at the University of Cambridge, England. 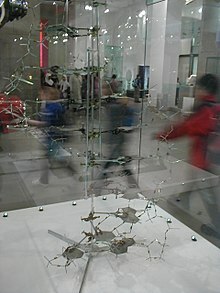 Using "Photo 51" (the X-ray diffraction results of Rosalind Franklin and her graduate student Raymond Gosling of King's College London, given to them by Gosling and Franklin's colleague Maurice Wilkins), Watson and Crick together developed a model for a helical structure of DNA, which they published in 1953. For this and subsequent work they were jointly awarded the Nobel Prize in Physiology or Medicine in 1962 with Maurice Wilkins. When James Watson came to Cambridge, Crick was a 35-year-old graduate student (due to his work during WWII) and Watson was only 23, but he already had a Ph.D. They shared an interest in the fundamental problem of learning how genetic information might be stored in molecular form. Watson and Crick talked endlessly about DNA and the idea that it might be possible to guess a good molecular model of its structure. A key piece of experimentally-derived information came from X-ray diffraction images that had been obtained by Maurice Wilkins, Rosalind Franklin, and their research student, Raymond Gosling. In November 1951, Wilkins came to Cambridge and shared his data with Watson and Crick. Alexander Stokes (another expert in helical diffraction theory) and Wilkins (both at King's College) had reached the conclusion that X-ray diffraction data for DNA indicated that the molecule had a helical structure—but Franklin vehemently disputed this conclusion. Stimulated by their discussions with Wilkins and what Watson learned by attending a talk given by Franklin about her work on DNA, Crick and Watson produced and showed off an erroneous first model of DNA. Their hurry to produce a model of DNA structure was driven in part by the knowledge that they were competing against Linus Pauling. Given Pauling's recent success in discovering the Alpha helix, they feared that Pauling might also be the first to determine the structure of DNA. Diagram that emphasizes the phosphate backbone of DNA. Watson and Crick first made helical models with the phosphates at the center of the helices. Crick described what he saw as the failure of Maurice Wilkins and Rosalind Franklin to cooperate and work towards finding a molecular model of DNA as a major reason why he and Watson eventually made a second attempt to do so. They asked for, and received, permission to do so from both William Lawrence Bragg and Wilkins. In order to construct their model of DNA, Watson and Crick made use of information from unpublished X-ray diffraction images of Franklin's (shown at meetings and freely shared by Wilkins), including preliminary accounts of Franklin's results/photographs of the X-ray images that were included in a written progress report for the King's College laboratory of Sir John Randall from late 1952. 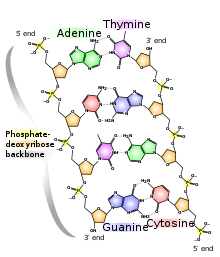 Another key to finding the correct structure of DNA was the so-called Chargaff ratios, experimentally determined ratios of the nucleotide subunits of DNA: the amount of guanine is equal to cytosine and the amount of adenine is equal to thymine. A visit by Erwin Chargaff to England in 1952 reinforced the salience of this important fact for Watson and Crick. The significance of these ratios for the structure of DNA were not recognized until Watson, persisting in building structural models, realized that A:T and C:G pairs are structurally similar. In particular, the length of each base pair is the same. Chargaff had also pointed out to Watson that, in the aqueous, saline environment of the cell, the predominant tautomers of the pyrimidine (C and T) bases would be the amine and keto configurations of cytosine and thymine, rather than the imino and enol forms that Crick and Watson had assumed. They consulted Jerry Donohue who confirmed the most likely structures of the nucleotide bases. The base pairs are held together by hydrogen bonds, the same non-covalent interaction that stabilize the protein α-helix. The correct structures were essential for the positioning of the hydrogen bonds. These insights led Watson to deduce the true biological relationships of the A:T and C:G pairs. After the discovery of the hydrogen bonded A:T and C:G pairs, Watson and Crick soon had their anti-parallel, double helical model of DNA, with the hydrogen bonds at the core of the helix providing a way to "unzip" the two complementary strands for easy replication: the last key requirement for a likely model of the genetic molecule. As important as Crick's contributions to the discovery of the double helical DNA model were, he stated that without the chance to collaborate with Watson, he would not have found the structure by himself. Crick did tentatively attempt to perform some experiments on nucleotide base pairing, but he was more of a theoretical biologist than an experimental biologist. There was another near-discovery of the base pairing rules in early 1952. Crick had started to think about interactions between the bases. He asked John Griffith to try to calculate attractive interactions between the DNA bases from chemical principles and quantum mechanics. Griffith's best guess was that A:T and G:C were attractive pairs. At that time, Crick was not aware of Chargaff's rules and he made little of Griffith's calculations, although it did start him thinking about complementary replication. Identification of the correct base-pairing rules (A-T, G-C) was achieved by Watson "playing" with cardboard cut-out models of the nucleotide bases, much in the manner that Linus Pauling had discovered the protein alpha helix a few years earlier. The Watson and Crick discovery of the DNA double helix structure was made possible by their willingness to combine theory, modeling and experimental results (albeit mostly done by others) to achieve their goal. In addition, the entire field of synthetic biology began with researchers such as Erik T. Kool, where bases other than A, C, T and G are used in a synthetic DNA. In addition to synthetic DNA there are also attempts to construct synthetic codons, synthetic endonucleases, synthetic proteins and synthetic zinc fingers. Using synthetic DNA, instead of there being 43 codons, if there are n new bases there could be as many as n3 codons. Research is currently being done to see if codons can be expanded to more than 3 bases. These new codons can code for new amino acids. These synthetic molecules can be used not only in medicine, but in creation of new materials. An enduring controversy has been generated by Watson and Crick's use of DNA X-ray diffraction data collected by Rosalind Franklin and her student Raymond Gosling. The controversy arose from the fact that some of Franklin's unpublished data were used without her knowledge or consent by Watson and Crick in their construction of the double helix model of DNA. 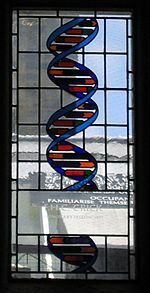 Of the four DNA researchers, only Rosalind Franklin had a degree in chemistry: Wilkins and Crick had backgrounds in physics, Watson in molecular biology. Prior to publication of the double helix structure, Watson and Crick had little direct interaction with Franklin herself. They were, however, aware of her work, more aware than she herself realized. Watson was present at a lecture, given in November 1951, where Franklin presented the two forms of the molecule, type A and type B, and discussed the position of the phosphate units on the external part of the molecule. She also specified the amount of water to be found in the molecule in accordance with other parts of it, data that have considerable importance in terms of the stability of the molecule. Franklin was the first to discover and formulate these facts, which in fact constituted the basis for all later attempts to build a model of the molecule. Before this both Linus Pauling and Watson and Crick had generated erroneous models with the chains inside and the bases pointing outwards. Her identification of the space group for DNA crystals revealed to Crick that the two DNA strands were antiparallel. In January 1953, James Watson was shown an X-ray photograph of B-DNA (called photograph 51), by Maurice Wilkins. Maurice Wilkins had been given photograph 51 by Rosalind Franklin's Ph.D. student Raymond Gosling. Wilkins and Gosling had worked together in the Medical Research Council's (MRC) Biophysics Unit before director John Randall appointed Franklin to take over both DNA diffraction work and guidance of Gosling's thesis. It appears that Randall did not communicate effectively with them about Franklin's appointment, contributing to confusion and friction between Wilkins and Franklin. In the middle of February 1953, Crick's thesis advisor, Max Perutz, gave Crick a copy of a report written for a Medical Research Council biophysics committee visit to King's in December 1952, containing data from the King's group, including some of Rosalind Franklin's crystallographic calculations. Crick and Watson felt that they had benefited from collaborating with Wilkins. They offered him a co-authorship on the article that first described the double helix structure of DNA. Wilkins turned down the offer, a fact that may have led to the terse character of the acknowledgment of experimental work done at King's College in the eventual published paper. Rather than make any of the DNA researchers at King's College co-authors on the Watson and Crick double helix article, the solution that was arrived at was to publish two additional papers from King's College along with the helix paper. Brenda Maddox suggests that because of the importance of her experimental results in Watson and Crick's model building and theoretical analysis, Franklin should have had her name on the original Watson and Crick paper in Nature. Franklin and Gosling submitted their own joint 'second' paper to Nature at the same time as Wilkins, Stokes, and Wilson submitted theirs (i.e. the 'third' paper on DNA). In his book Of Molecules and Men, Crick expressed his views on the relationship between science and religion. After suggesting that it would become possible for a computer to be programmed so as to have a soul, he wondered: at what point during biological evolution did the first organism have a soul? At what moment does a baby get a soul? Crick stated his view that the idea of a non-material soul that could enter a body and then persist after death is just that, an imagined idea. For Crick, the mind is a product of physical brain activity and the brain had evolved by natural means over millions of years. He felt that it was important that evolution by natural selection be taught in schools and that it was regrettable that English schools had compulsory religious instruction. He also considered that a new scientific world view was rapidly being established, and predicted that once the detailed workings of the brain were eventually revealed, erroneous Christian concepts about the nature of humans and the world would no longer be tenable; traditional conceptions of the "soul" would be replaced by a new understanding of the physical basis of mind. He was sceptical of organized religion, referring to himself as a skeptic and an agnostic with "a strong inclination towards atheism". During the 1960s, Crick became concerned with the origins of the genetic code. In 1966, Crick took the place of Leslie Orgel at a meeting where Orgel was to talk about the origin of life. Crick speculated about possible stages by which an initially simple code with a few amino acid types might have evolved into the more complex code used by existing organisms. At that time, everyone thought of proteins as the only kind of enzymes and ribozymes had not yet been found. Many molecular biologists were puzzled by the problem of the origin of a protein replicating system that is as complex as that which exists in organisms currently inhabiting Earth. In the early 1970s, Crick and Orgel further speculated about the possibility that the production of living systems from molecules may have been a very rare event in the universe, but once it had developed it could be spread by intelligent life forms using space travel technology, a process they called "directed panspermia". In a retrospective article, Crick and Orgel noted that they had been overly pessimistic about the chances of abiogenesis on Earth when they had assumed that some kind of self-replicating protein system was the molecular origin of life. Crick's period at Cambridge was the pinnacle of his long scientific career, but he left Cambridge in 1977 after 30 years, having been offered (and having refused) the Mastership of Gonville & Caius. James Watson claimed at a Cambridge conference marking the 50th anniversary of the discovery of the structure of DNA in 2003: "Now perhaps it's a pretty well kept secret that one of the most uninspiring acts of the University of Cambridge over this past century was to turn down Francis Crick when he applied to be the Professor of Genetics, in 1958. Now there may have been a series of arguments, which led them to reject Francis. It was really saying, don't push us to the frontier." The apparently "pretty well kept secret" had already been recorded in Soraya De Chadarevian's "Designs For Life: Molecular Biology After World War II", published by CUP in 2002. His major contribution to molecular biology in Cambridge is well documented in The History of the University of Cambridge: Volume 4 (1870 to 1990), which was published by Cambridge University Press in 1992. In 1976, Crick took a sabbatical year at the Salk Institute for Biological Studies in La Jolla, California. Crick had been a nonresident fellow of the Institute since 1960. Crick wrote, "I felt at home in Southern California." After the sabbatical, Crick left Cambridge in order to continue working at the Salk Institute. He was also a professor at the University of California, San Diego. He taught himself neuroanatomy and studied many other areas of neuroscience research. It took him several years to disengage from molecular biology because exciting discoveries continued to be made, including the discovery of alternative splicing and the discovery of restriction enzymes, which helped make possible genetic engineering. Eventually, in the 1980s, Crick was able to devote his full attention to his other interest, consciousness. His autobiographical book, What Mad Pursuit: A Personal View of Scientific Discovery, includes a description of why he left molecular biology and switched to neuroscience. Crick hoped he might aid progress in neuroscience by promoting constructive interactions between specialists from the many different subdisciplines concerned with consciousness. He even collaborated with neurophilosophers such as Patricia Churchland. In 1983, as a result of their studies of computer models of neural networks, Crick and Mitchison proposed that the function of REM sleep is to remove certain modes of interactions in networks of cells in the mammalian cerebral cortex; they called this hypothetical process 'reverse learning' or 'unlearning'. In the final phase of his career, Crick established a collaboration with Christof Koch that lead to publication of a series of articles on consciousness during the period spanning from 1990 to 2005. Crick made the strategic decision to focus his theoretical investigation of consciousness on how the brain generates visual awareness within a few hundred milliseconds of viewing a scene. Crick and Koch proposed that consciousness seems so mysterious because it involves very short-term memory processes that are as yet poorly understood. Crick also published a book describing how neurobiology had reached a mature enough stage so that consciousness could be the subject of a unified effort to study it at the molecular, cellular and behavioural levels. Crick's book The Astonishing Hypothesis made the argument that neuroscience now had the tools required to begin a scientific study of how brains produce conscious experiences. Crick was skeptical about the value of computational models of mental function that are not based on details about brain structure and function. The Francis Crick Medal and Lecture was established in 2003 following an endowment by his former colleague, Sydney Brenner, joint winner of the 2002 Nobel Prize in Physiology and Medicine. The lecture is delivered annually in any field of biological sciences, with preference given to the areas in which Francis Crick himself worked. Importantly, the lectureship is aimed at younger scientists, ideally under 40, or whose career progression corresponds to this age. As of 2015[update], Crick lecture have been delivered by Julie Ahringer, Dario Alessi, Ewan Birney, Simon Boulton, Jason Chin, Simon Fisher, Matthew Hurles, Gilean McVean, Duncan Odom, Geraint Rees, Sarah Teichmann and Daniel Wolpert. In addition, Crick was a elected a Fellow of the Royal Society (FRS) in 1959, a Fellow of the International Academy of Humanism, and a Fellow of CSICOP. The Benjamin Franklin Medal for Distinguished Achievement in the Sciences of the American Philosophical Society (2001), together with James D. Watson. Kreiseliana: about and around Georg Kreisel; ISBN 1-56881-061-X; 495 pages. For pages 25 – 32 "Georg Kreisel: a Few Personal Recollections" contributed by Francis Crick. ^ "Bio at Wellcome Trust". Genome.wellcome.ac.uk. ^ Pauling L, Corey RB (May 1951). "Atomic Coordinates and Structure Factors for Two Helical Configurations of Polypeptide Chains". Proceedings of the National Academy of Sciences of the United States of America. 37 (5): 235–40. Bibcode:1951PNAS...37..235P. doi:10.1073/pnas.37.5.235. PMC 1063348. PMID 14834145. ^ a b c d "James Watson, Francis Crick, Maurice Wilkins, and Rosalind Franklin". Chemical Heritage Foundation. Retrieved 1 November 2013. ^ a b Simon, Matthew (2005) Emergent Computation: emphasizing bioinformatics. Springer. ISBN 0-387-22046-1. ^ Crick FH (1958). "On protein synthesis" (PDF reprint). Symp. Soc. Exp. Biol. 12: 138–63. PMID 13580867. ^ Crick FH (1967). "The Croonian lecture, 1966. The genetic code" (PDF reprint). Proc. R. Soc. Lond., B, Biol. Sci. 167 (9): 331–47. Bibcode:1967RSPSB.167..331C. doi:10.1098/rspb.1967.0031. PMID 4382798. ^ Describing Crick's influence on his scientific colleagues, Francis Crick Papers archivist Chris Beckett wrote of the importance of, ".....Crick's presence and eloquence —direct and beguiling, by all accounts in the archive— at conference after conference, through formal lectures, extempore summaries, informal meetings and individual conversations. Indeed, one has the impression that it was through these frequent persuasive moments of personal delivery and purposive conversations that Crick was most influential." ^ Eagleman, D.M. (2005). Obituary: Francis H. C. Crick (1916–2004). Vision Research. 45: 391–393. ^ Press release from the British Humanist Association: Darwin Day a natural holiday? (12 February 2003). ^ "Notable Signers". Humanism and Its Aspirations. American Humanist Association. Retrieved 28 September 2012. ^ "Cabinet Office list of honours declined by since deceased persons, 1951–1999" (PDF). Retrieved 2 November 2016. ^ a b Jha, Alok (19 June 2010). "Plans for largest biomedical research facility in Europe unveiled". London: The Guardian. Retrieved 11 August 2010. ^ Back and Forward: From University to Research Institute; From Egg to Adult, and Back Again by Professor Sir John Gurdon, Francis Crick Graduate Lectures, 29 November 2005. University of Cambridge. ^ A Life in Science by Dr Tim Hunt, Francis Crick Graduate Lectures, 29 June 2005. University of Cambridge. Robert Olby, assisted by Martin Packer, "Francis Crick: Hunter of Life's Secrets", Cold Spring Harbor Laboratory Press, ISBN 978-0-87969-798-3, published 25 August 2009; 450 pp;  and Peter Lawrence's review in "Current Biology" . Dickerson, Richard E.; "Present at the Flood: How Structural Molecular Biology Came About", Sinauer, 2005; ISBN 0-87893-168-6. Edward Edelson, "Francis Crick And James Watson: And the Building Blocks of Life"' Oxford University Press, 2000, ISBN 0-19-513971-2. Errol C. Friedberg; "Sydney Brenner: A Biography", pub. CSHL Press October 2010, ISBN 0-87969-947-7. James D. Watson; The Double Helix: A Personal Account of the Discovery of the Structure of DNA, Atheneum, 1980, ISBN 0-689-70602-2 (first published in 1968) is a very readable firsthand account of the research by Crick and Watson. The book also formed the basis of the award winning television dramatization Life Story by BBC Horizon (also broadcast as Race for the Double Helix). James D. Watson; The Double Helix: A Personal Account of the Discovery of the Structure of DNA; The Norton Critical Edition, which was published in 1980, edited by Gunther S. Stent: ISBN 0-393-01245-X.